Okay, so I haven’t mastered meditation yet. 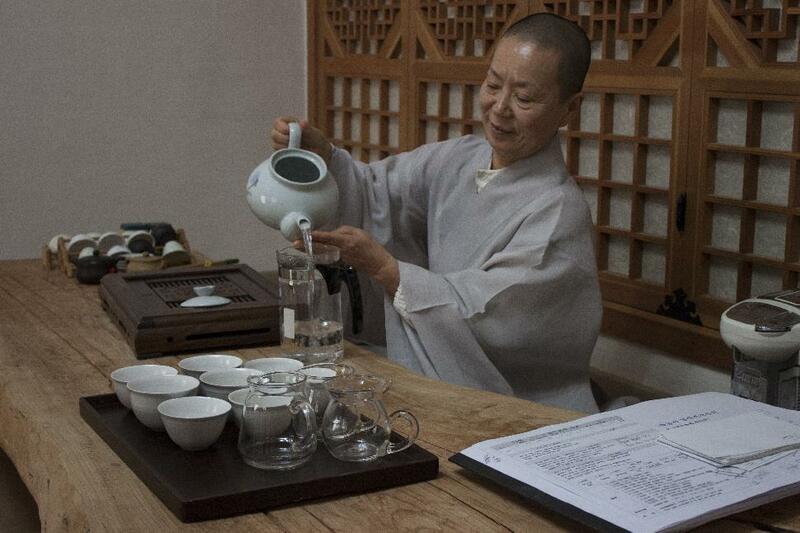 But for those seeking a traditional Zen Buddhist experience, Korea’s templestay program is a great place to start. 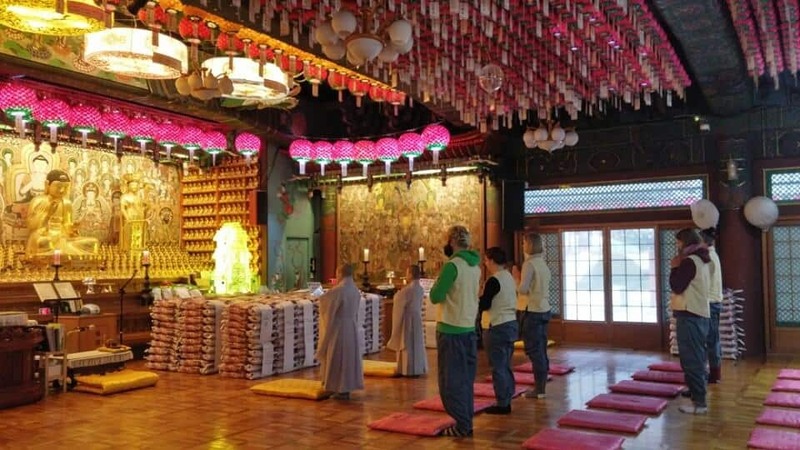 The Korean templestay program allows curious visitors to spend a night in a Buddhist temple of their choosing. Participants are expected to help out with chores, attend Buddhist services and engage with the resident monks. As we walk through the temple’s main gate, the incessant clanging noise and intoxicating pollution of the city seems to fade away. The resident monks ask participants to keep noble silence at all times, beginning at the gate. Simbul-seong, a staff worker at Hwagyesa, greets us and leads us to our room. We’re staying in a small, orange-tinted square on the second floor. Floor mats and pillows peak out of a cubby hole. The heated floor soothes our socked feet. We button-up our bland uniforms, which are a requirement for practice at Hwagyesa. I glance at my phone and am shocked to find an open wifi network. Well, not really that shocked—we’re still in Korea, after all. But it doesn’t feel like Seoul at all. 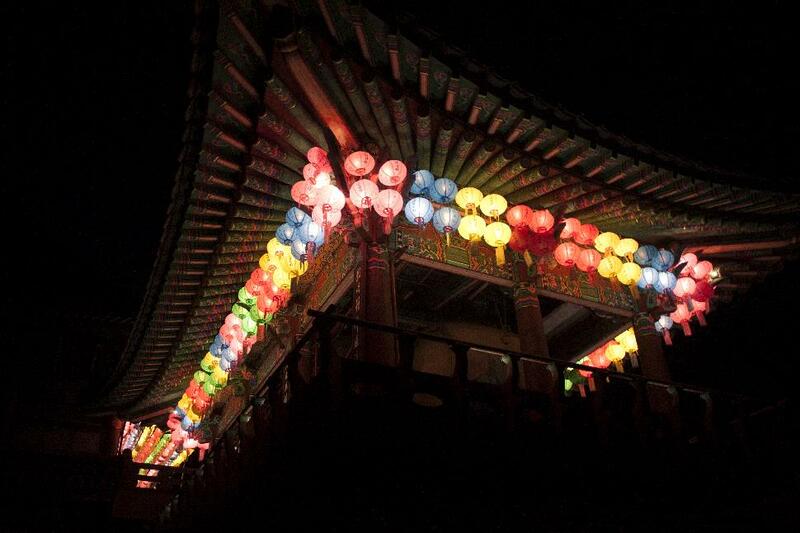 From the noble silence to the rainbow-coloured paper lanterns that blow in the breeze, the city feels much further away than just outside the gate. After a brief orientation, the other templestay participants gather with us to meet the monk. She (yes, she) is clad in long, grey robes, a thick grey scarf, and black mittens. Her buzzed hair is covered by a toque, which answers my first question: do monks wear toques? We begin to shuffle through the forest in a single line. I keep my head bowed and try to listen to the rustle of the wind through skeleton-bare trees and the crunch of golden leaves beneath my feet. The meandering hike takes us to a peak. My labored breathing catches in my throat as I look across the sparkling high-rise city, which sits beneath a cloud of murky smog. We return to the temple in the same silent, sluggish line-up. 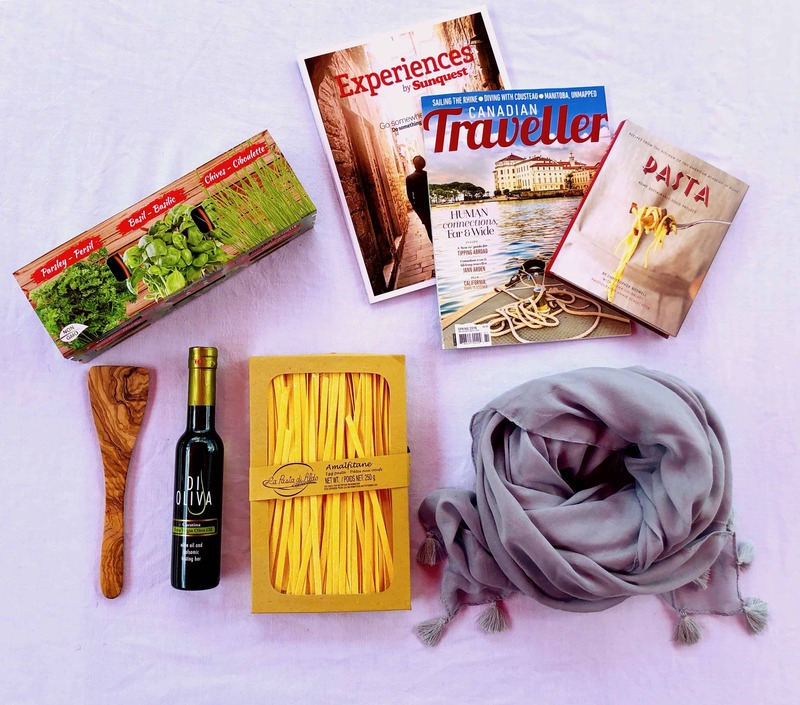 Steaming black tea awaits us in the kitchen, where we dine on spring rolls and potato soup. As the sun sets, we move up to the Buddha Hall for Evening Chanting. The wooden door glides open. We tepidly enter the gold-speckled room. Dim lighting illuminates a small stage on the far wall, where three depictions of cross-legged Buddhas gaze down at us. There is a gathering of five or six monks kneeling at the toes of the Buddhas. Once we are settled on our crimson cushions, one of the monks gets up and exits through a side door to ring the bronze bell, which signals the start of Evening Service. There is a mixture of standing, chanting and bowing. We attempt to mirror the monks; bending first at our knees and lowering our foreheads to the cold floor. We raise our hands next to our ears and push ourselves back to standing. An hour later, we emerge from the Buddha Hall and descend to the Zen room. We find a (somewhat) comfortable seat and begin to meditate. Half an hour later, we shake out our aching legs and pace the room. After ten minutes, we resume the second half of our first seated meditation. I feel a soft peace descend upon me. One of the girls asks if we can do Mandala, a type of stress-relieving colouring that has manifested itself in popular culture. We shade in spirals and lines before retiring to our rooms. Teeka and I pile four of the thin mats on the floor. The lights in the hallway flicker off at 9 p.m., and I set my alarm for 4 a.m. I peel my eyes open. It is way too early for me. 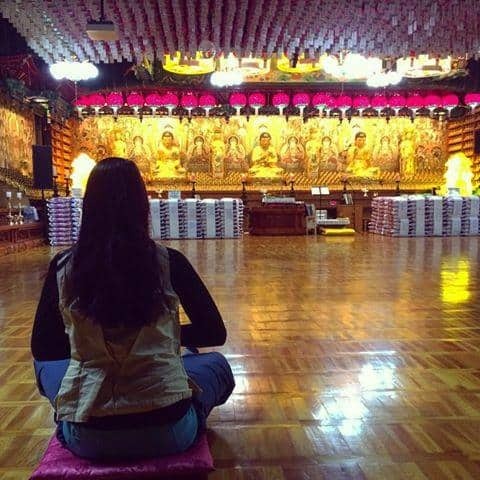 I button my monk clothes over my fleece sweater and groggily ascend to the Buddha Hall for Morning Chanting. Following the service, we eat breakfast and mentally prepare for our second sitting meditation. It seems slightly more bearable and beneficial than the first. Next comes the moment I’ve been fearing: 108 prostrations (bows). I don't know if my body can handle so many bends. Each bow has specific meaning behind it; typically involving internal repentance or universal respect. I feel comfortable with many of the reasons (I prostrate in gratitude for coming to hear the bubbling music of the streams) while others, I’m not able to bow to (With sincere devotion, I take refuge in Shakyamuni Buddha). I take breaks and watch the Buddhist monks. Knees crack, breathing deepens and hands lift from the floor as twenty-some practitioners flow through repentance and gratitude to extinguish the mind. It’s significantly less strenuous than I was expecting, and all over in under an hour. We exit the Buddha Hall in noble silence and relax on cushions downstairs to copy sutra, which is a meritorious practice in Buddhism. Using transparent paper, the other templestay participants and I trace the outline of a sutra in the Korean alphabet Hangul. Following the graceful lines and staccato dots is as calming as colouring Mandala last night. The final activity on our schedule is a Q&A tea ceremony. We gather on the floor around Chong-shim, who pours us the tea. “Why do you shave your head?” Teeka asks. “How, and why, did you become a monk?” I interject. 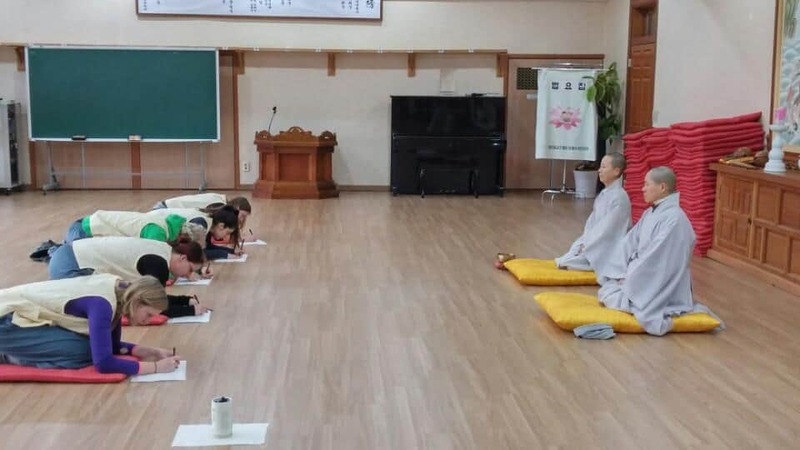 Have you experienced a templestay in Korea?